June 2, 2016 -- In this day and age, acquiring new patients is even more challenging for dentists, given the increase in competition and numerous marketing choices available. Getting new patients, of course, is vital to having a flourishing dental practice. Yet, failing to focus on existing patients is undermining your marketing budget. The simple truth is that your current patients are your most loyal and raving sales force, and one that is working for you 24 hours a day. Minal Sampat, RDH, runs Growth Management Marketing. Word-of-mouth referrals are worth their weight in gold and much more powerful than any marketing techniques. If done correctly, they are also more cost-effective. These referrals, however, do require a planned approach with key elements that need to be undertaken in the right order. If you want to turn your patients into raving fans who refer your services each and every day, it's important to create a process to deliver a "wow" patient experience -- one that is memorable, creates engagement, encourages your patients to become lifelong fans, and ultimately refers more new patients. The most effective marketing happens inside your practice. What is the first impression patients receive when they enter your practice? Is your office clean? Are there new and current items to help entertain patients while they wait? Is it the right "fit" for the profile of your patients? Does your marketing match the actual facility? Essentially, does your practice exceed what your patients need? Think about this and design your facility to constantly amaze your patients. How often do you like to be kept waiting? Never, I'm sure. Patients are no different. Their time is precious, and having a system that ensures patients are seen on time is important. We are all aware that sometimes appointments run over schedule. That can't always be helped. However, it's vital that you handle the situation calmly and still create a memorable experience for your patients that will turn them into loyal and raving fans. The next time you have an appointment that begins late, remember to first and foremost apologize. Perhaps offer the patient a small gift as part of that apology. This clearly indicates that you value your patients and their time. You now also have the chance to transform a potentially negative review into a positive experience. This will create a buzz about your office that will put you ahead of competitors. Let's face it -- most patients do not enjoy their dental appointments. Your job is to make them feel as comfortable as possible while providing exceptional treatment. Take the extra time to ensure that patients understand their treatment by talking them through it, keeping them informed, answering any questions, and, most important, not rushing them. Your patients aren't just seeing you. They will also interact with your team. Remember that your team is a reflection of your practice. Are you happy with your current team representing you? Reflect on this from the patient's perspective. A simple smile and warm reception from your team will go a long way in making a difference in your patient's experience. It is also essential that the team is supported and trained to answer questions patients may have. After all, you want patients talking about your practice for all the right reasons. Whether it's Mother's Day or patient milestones, use these events to connect, engage, and show appreciation to your patients. Celebrate birthdays, graduations, and even the end of a long treatment. Make your patients feel special -- you will be remembered and talked about as a result. Capture these celebrations and share the photos in your office and on digital media platforms. The best way to share the wow moments is by creating engagement toward them. Before significant treatment, many patients will be concerned or anxious about how long it will take or how uncomfortable it will be during and after. Put their minds at ease by calling your patient in advance. Go through the treatment and outline what will happen, and address any questions or concerns they have. Call the patients after the treatment to see how they are doing. Put yourself in their shoes, and do as much as you can to alleviate stress and worry. Communication is the key to a happy smile from your patients. As you have gathered, the "wow" factor is all based around creating a great patient experience. It's not just about the treatment when they are in the chair. It encompasses the before, during, and after. An important element of that is staying in contact using practice management systems and email, as well as social media. Help patients refer to you by showing them that you do truly care for them. After all, that's why you became a dental professional in the first place, right? Creating a wow experience for your patients doesn't happen overnight. Getting all the elements in place is crucial. Your team needs to have clear responsibilities -- who is responsible for running patient appreciation days, who is going to call the patient after treatment, who will look after promotional gifts, and who will be responsible for capturing the wow moments on camera and posting them on social networks? Talk to your team to coordinate and allocate responsibility. Most important, measure the results achieved from creating that wow experience. You will probably see, quite quickly, the signs that it is working -- compliments from patients, positive patient reviews, and increasing numbers of patient referrals. The more you care and appreciate your patients, the more they will care and appreciate you. 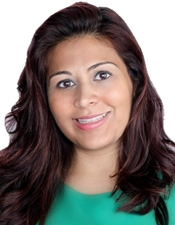 Minal Sampat, RDH, is a dental professional, speaker, and marketing consultant. She runs Growth Management Marketing and can be reached at minal@marketinggmm.com or by visiting www.marketinggmm.com.